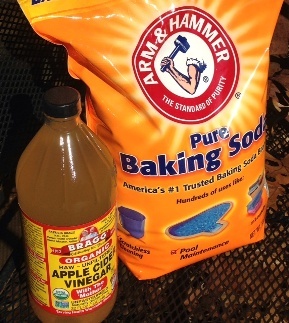 Since there was so much response to my recent Facebook mention that a small amount of baking soda will stop heartburn, I agreed to do a newsletter on the subject. Here is what I said on Facebook: Had a rare bit of heartburn last night from something eaten I guess. I cured it in about 30 seconds swallowing a pinch of baking soda and washing it down with water. It reminded me that I should do a newsletter about this subject - so I will - right away. It might be helpful for folks during the holiday festivities. You can see the interesting comments it evoked on my Facebook page. One of the comments said that her doctor had warned against baking soda because of the sodium in it. As little as you need to take, that should not be an issue, but the other method that works just as well is to take a teaspoon of apple cider vinegar. No salt in vinegar! 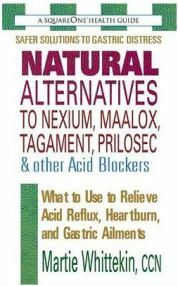 What the Medical doctors and pharmaceutical companies recommend is this from the web: There are a variety of heartburn medicines available over the counter to relieve symptoms. If these fail to relieve your symptoms, talk to your doctor about other available heartburn treatment options. Your doctor may want to evaluate you for gastroesophageal reflux disease, or GERD. You should take antacids exactly as directed by your doctor, or according to the package label. If you are using the tablets, chew them well before swallowing for faster relief. Frequent heartburn or gastroesophageal reflux disease (GERD) that occurs more than twice a week usually responds best to heartburn medicine that works 24 hours a day. Most of the over-the-counter treatments, with the exception of Prilosec OTC, do not work this way. In prescription form (usually higher doses than the over-the-counter versions), H2 blockers can generally relieve heartburn and treat reflux. These drugs are particularly useful at alleviating heartburn, but may not be as good for treating esophagitis (inflammation that occurs in the esophagus) that is the result of GERD. Side effects include headache, abdominal pain, diarrhea, nausea, gas, sore throat, runny nose, and dizziness. I do not recommend any of the over-the-counter or prescription medicines for heartburn. They are not necessary and come with some side effects that should be a concern. P.S. I hope you have a Merry Christmas, Happy Holidays and a Healthy New Year.